If you are a nature lover then green hazy grasslands is a perfect getaway for you! Get stuck in the charming hill town of Vagamon tucked away in Idukki district of Kerala. 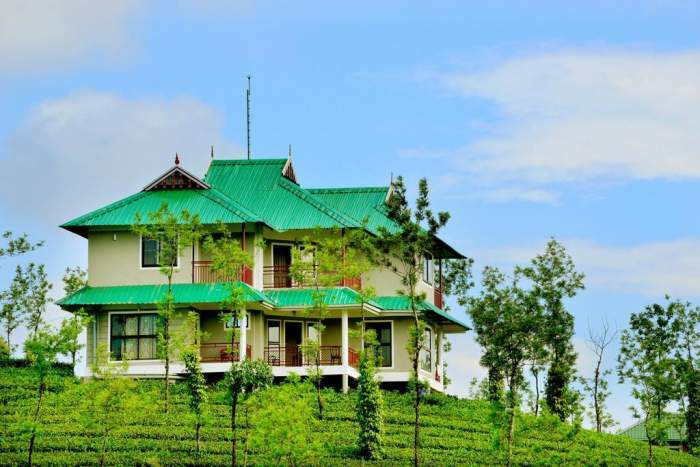 The place is surrounded by tea plantations, verdant hills, spectacular waterfalls, and a lush forest cover, the luxurious and relaxing cottages in Vagamon serves you with a perfect cuisine of a comfy holiday far from the busy schedule of the cities. 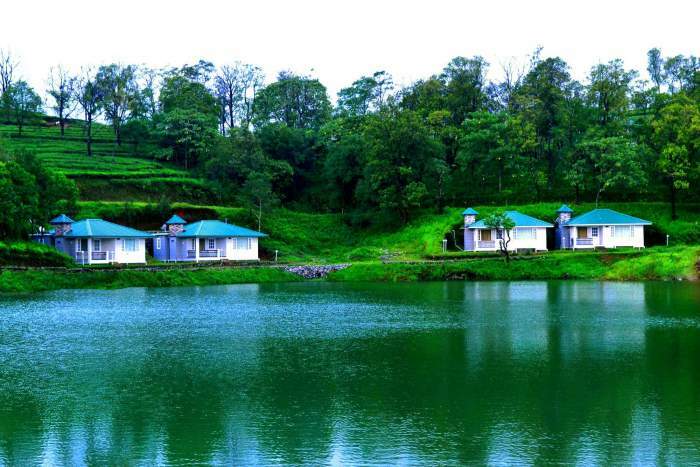 So if you are looking forward to going to Kerala in the near time, then opt from these comfortable cottages in Vagamon to explore in nature’s lap! 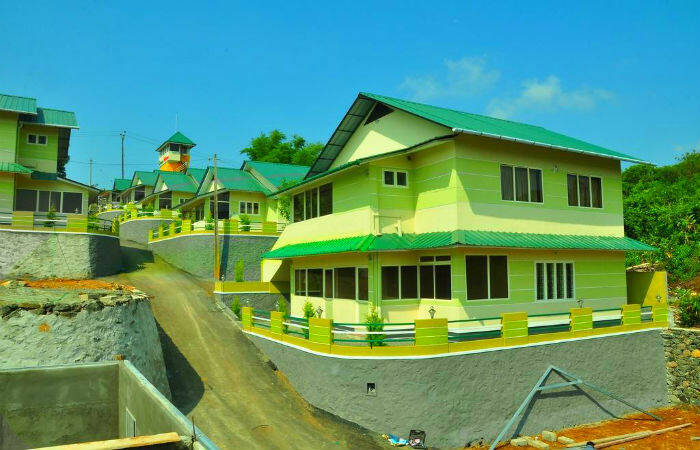 Green Palace Residency is positioned in the middle of nature with a lovely view of the mountains, the charming Green Valley Residency offers comfortable budget cottages in Vagamon. The cottage is well furnished with two-bedroom, located very close to the popular Vagamon Meadows are well-maintained and are perfect for the family trip. You will be in dreamland when you wake up amid misty mornings and spectacular views, tasty home-style cuisine, and economical prices make this as one of the best travel destinations for vacations in the enchanting hill-town. The Winter Vale is stretched over 20 acres of lush greenery, this eco-friendly resort is full of green ambiance with a superb Address, tranquil atmosphere, and stunning views of all the cottages. With all the modern facilities, your hunting for the cheap cottage in Vagamon, which lies in nature’s lap, ends at this great property. With the children’s play area, outdoor swimming pools, campfire facilities, and plenty of space within the property where you can sit and soak in the natural beauty around, and Winter Vale is sure to entice you. The resort also hosts a barbecue, cycling and trekking trips, plantation walks, and jeep safari on request. Located in the outskirts of Vagamon, this heavenly resort is in the middle of tea gardens and is fenced by forests and hills. These are undoubtedly one of the best cottages in Wagamon for your effort in nature with its nature in a quiet atmosphere. There is nothing too much trouble for the warm and friendly staff who make your stay comfortable and unforgettable. You can stroll go through the tea gardens or pathways to the forest and enjoy the sparkling spring. There is a children’s play area, swimming pool, and basketball court for some outdoor entertainment. An ideal choice for staying in a group in Vagamon, Misty Dreams offers a picturesque cottage sitting in the middle of tea gardens with extensive views of surrounding plains and forests. This dreamy Plantation Homestay is the ideal place for quiet meditation and blissful aloneness. The supportive owner and friendly staff make sure that all your needs are completed promptly and satisfactorily. From Trek arrangements to arrangements of the bonfire, horse riding sessions, and jeep safaris, the management is always ready to help. This 240-acre property caters to your dream of that quiet calm cottage covered in lush greenery and blissful stillness. Orion County provides you with some of the best one, two, and three-bedroom cottages in Vagamon for those looking for a rejuvenating gateway. 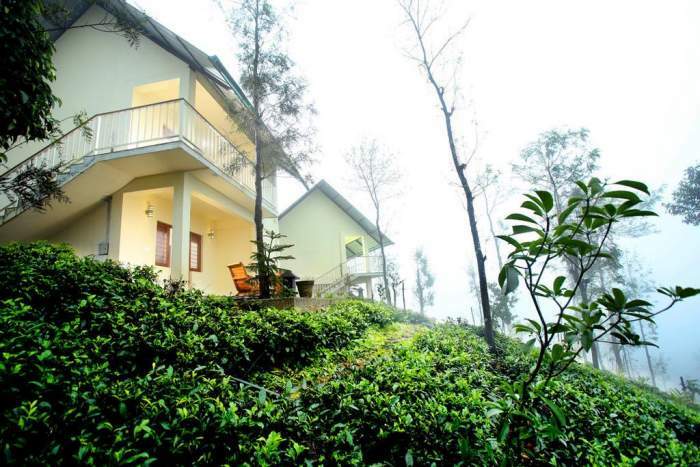 Located at different levels of tea gardens, cottages above the hill offer excellent panoramic views. Vagamon Heights is the ultimate place to forget the outer world and indulge yourself in the radiance of nature. This luxurious property spread over an area of 250 acres. The property boasts an in-house adventure park, beautiful views and charming lakes for boating. Depending on your taste and group size, you can choose from one of the most attractive cottages in Vagamon. The open jeep drive to the hilltop is an adventure in itself and the top views are breathtaking. 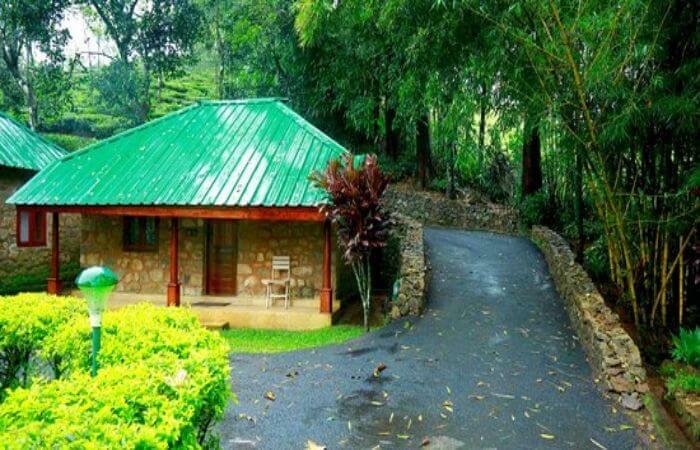 It’s one of the best cottages in Vagamon. Barbecue Nights, Campfire and a warm welcoming staff enhance the charm of this fantastic Vagamon cottage stay. Also Read: India’s First Women-Only Hotel, Run By Women-Staff Is Opening Soon! 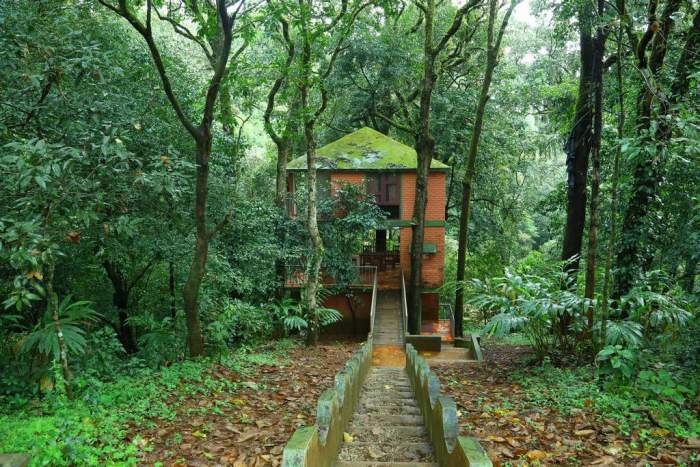 The step taken into Saj Vagamon Hideout is like entering into a serene world not touched by the damages of civilization, where the highest voices are the songs of birds and buzz of the crickets. This luxurious property of 30 acres is the most attractive cottages of Vagamon spread around the peaceful lake. Environmentally friendly cottages built in traditional architectural style are made entirely of natural ingredients, which aim to maintain harmony with nature. You will not like to step out of this natural paradise which is filled with ample fun activities like fishing, pool table, organic farm visit, and treks. 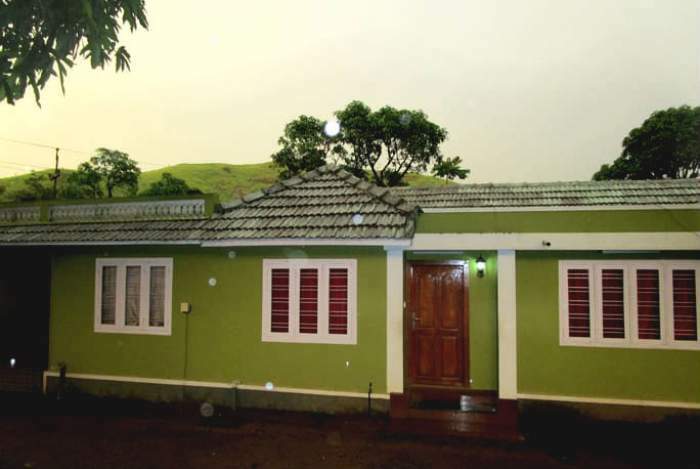 It’s one of the best cottages in Vagamon. It’s one best places to visit in Kerala. Next articleGo For An Ultimate Fun Trip In Costa Rica With Your Little Ones!